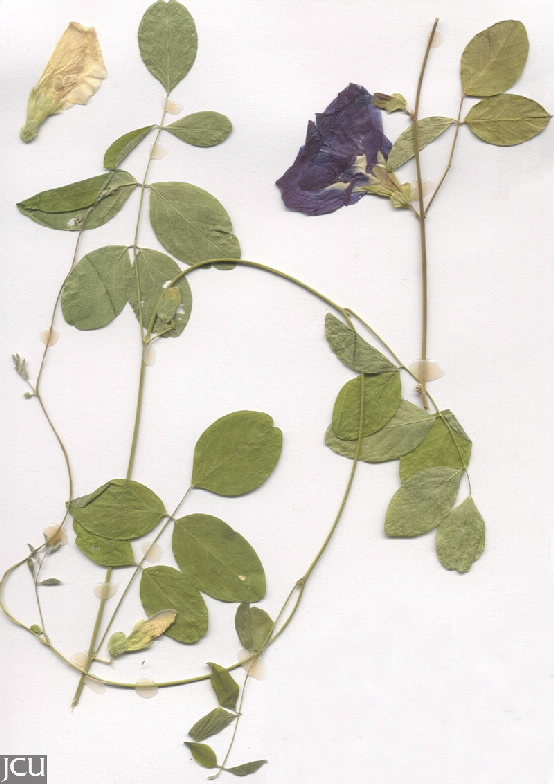 A vine, the leaves have 5-9 leaflets. 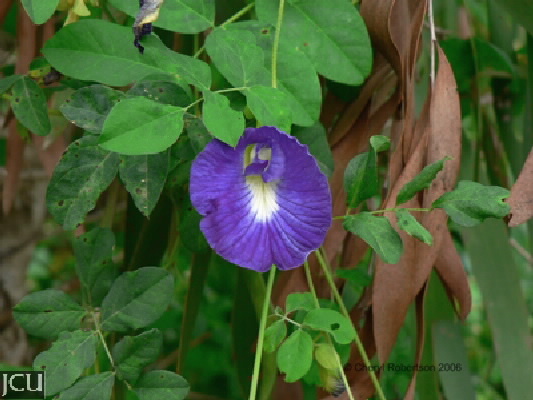 The flower is pea-shaped with a large blue or occasionally white standard to 5 cm long. The pod is flat to 11 cm long and about 1 cm wide.